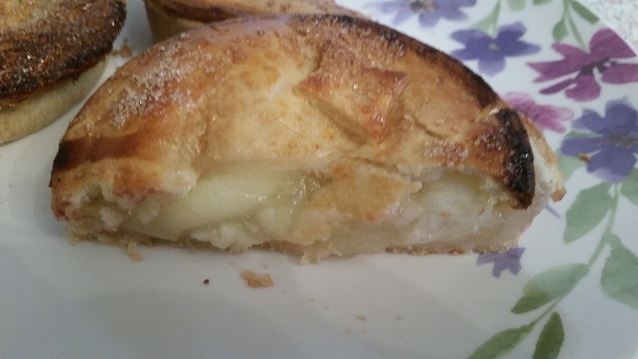 Pierate - Pie Reviews: Can Piebury Corner The Fruit Pie Market? 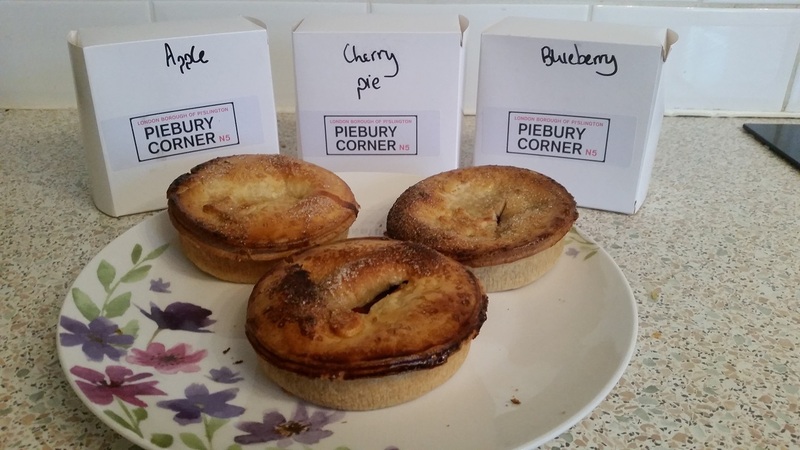 With a swathe of their pies in our top 20 pies (out of over 600 we have rated) you won’t be surprised to hear we eagerly await any new offering from the number one modern pie shop in London - Piebury Corner. With such a high bar set by their meat and veggie pies, the more recent addition of fruit pies to their selection (albeit not that recently!) was something we were intrigued by. Could Piebury – famed for their football-related pies and puns – still push for the title with their fruit pies? Or was it a case of second season blues – like Leicester City struggling to maintain the form they showed in their previous outing? 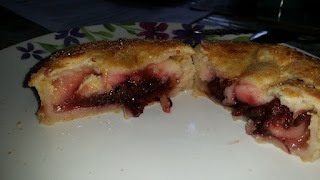 Well the good news is that these fruit pies are far off mid-table mediocrity! In fact, as fruit pies go, these are some of the better individual fruit pies we’ve pie rated. Gone are the Arsenal-related footballer names (such as the “Thierry Henry” or “Viera-getarian”) and instead you get pies that do exactly what they say on the tin (or in this case, cardboard box) – Apple, Apple and Blackcurrant, Blueberry and Cherry. Here’s our overall impression of the fruit pie range, followed by some individual comments. Please note that all these pies were heated for 20 minutes in the oven but then eaten as they were – without custard or cream or other additions – to ensure we were rating the pie accurately. Have you heard the big news?! Piebury Corner will be opening a brand new pie shop in the heart of Kings Cross, central London! We can’t wait to see them open up their second branch around the end of April and serve even more of their Pierate Highly Recommended pies! Read all about it in this Hot-Dinners.com article! These pies are noticeably quite shallow and wide, but this is the Piebury way! Similar in shape to their meaty teammates, the fruit pies also have a lovely golden pastry shell which particularly crisps up well on top. The main difference: that fine sprinkling of sugar on top of the pastry, which does add that extra sweet taste to an already sweet fruit pie! A couple of the pies we cooked caught slightly and were a bit more golden in some places than others, but overall I’d say this is a nice golden colour. At £3.50 per pie to take away cold, these certainly aren’t the cheapest fruit pies on the market. But then these aren’t your typical pies on the market either – with a much bigger capacity than most fruit pie boxes you’d buy in the shops and a strong pie capacity as opposed to some of the “fruit” air pies you can get your hands on! I also mention fruit because you can actually see and taste the fruit in these pies, rather than the fruity mush that a lot of fruit pies contain. Overall, I would say these are a tad expensive for the size, but they are some of the best fruit pies we’ve had on Pierate. 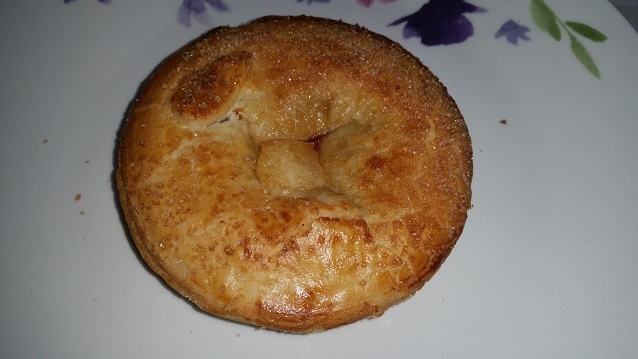 The pastry (specifically the lid) is delicious as part of the pie or even eaten on its own. While the content of all the pies is nice and fruity – sweet but generally not too much! They fill the hole and – while I’d suggest you probably wouldn’t want two in one sitting – leave you wanting to try another! The classic fruit pie flavour and done well. Some decent sized pies of fruit – though could perhaps have been a few more large pieces that had a bit more of a bite to them. They were rather soft, so not much to bite onto! 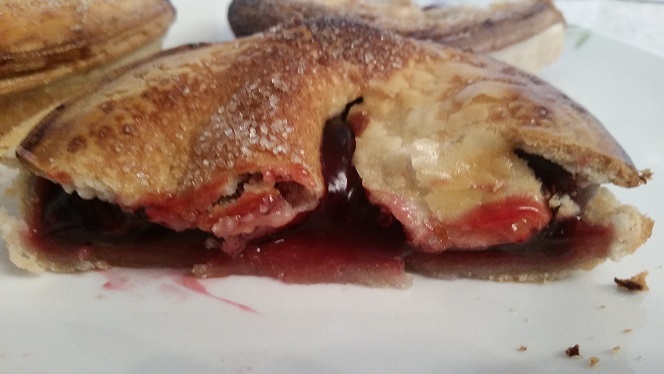 The flavour worked well with the crisp sweet pastry. Would definitely want again. Another classic fruit flavour – the apple was nice but again could have perhaps given a bit more bite to the pie if they were a bit less soft. The blackcurrants were also very noticeable, particularly because the seeds got rather caught in my teeth during the eating of this pie, which spoilt my enjoyment of it a bit. However a good balance to the flavour and in combination with the pastry. 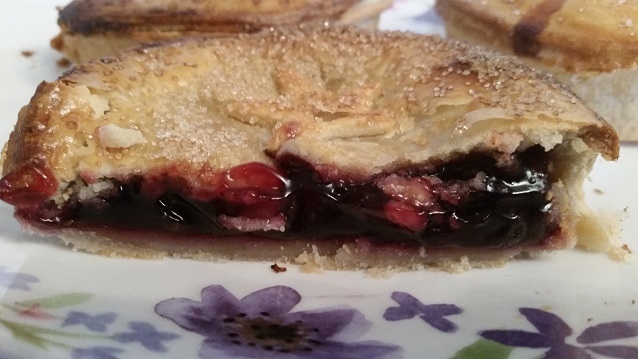 We don’t seem to see many blueberry pies out there on the market, so Pierateer Sam was particularly keen to try this one. While quite sweet, the flavour was very nice and again complimented the crisp pastry well. Well worth getting hold of. While perhaps not as famous as the apple pie, the cherry pie is still another regular flavour and the pieces of fruit were very obvious upon slicing through. Quite sweet again, but not overpowering. I’d happily eat another of these. Overall, while these pies are not going to compete against the Piebury Corner meat pies for our affection, they are very good individual fruit pies that I’d happily enjoy for dessert as part of a “Double Pie” main and pudding option. I’m Gunner have to go back to Piebury Corner and get some more soon!